BeetElite is trusted by over 90 professional and collegiate teams at the top of their game, as well as numerous current and former Olympic athletes and aspiring professionals in the world of obstacle course racing and endurance sports. BeetElite, with its concentrated dietary nitrates and nitrites, helps to optimize Nitric Oxide production. If the beet product you’re taking doesn’t contain high levels of nitrates, and other nutrients, it simply can’t provide the same benefits as Beetelite. Let’s face it, none of us want to eat a ton of beets everyday even if you like the taste. That’s where HumanN rises above the rest with our growing and selection standards, scientifically supported formulations based on scientific knowledge and research. 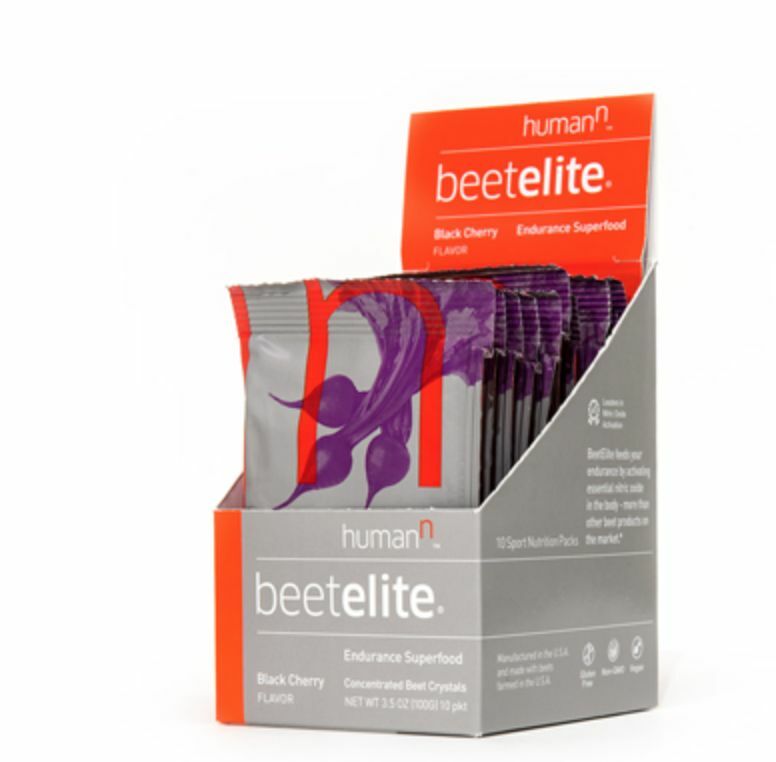 BeetElite is formulated to taste great with no artificial flavors, colors or sweeteners. It’s also gluten-free and made from non-GMO beets. One serving or six whole beets? Our products have a team of scientists behind them. Our food scientists and nutritionists work together to not only maximize the N-O activating potential in our products, but also to ensure that the body is taking in nutrients found in our functional foods with optimal efficiency. That’s why we can deliver the Nitric Oxide effect of six beets in a concentrated functional food. Read more about the science of Nitric Oxide and our team. The sweet taste may surprise you. You don’t need to sacrifice taste for performance. 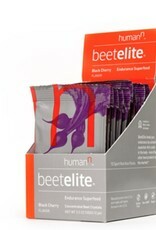 BeetElite comes in Original (with natural apple flavoring) and Black Cherry flavors. Both are refreshing and delicious. So, you can get all of the benefits of this endurance functional food, even if you don’t like the taste of beets. We want to bring the very best functional foods and supplements to humans everywhere. So if you’re not completely satisfied with any of our products, you can return them to us within 90 days of your order date, no questions asked. Directions Easy to take, easy to drink. Mix one pack or two scoops of BeetElite with four ounces of cold water and take it for a quick boost 30 minutes before your workout. Each box contains 10 packets and each canister contains 30 servings.